The Imagitoons Zoo was all set to expand...and then we had a set back. 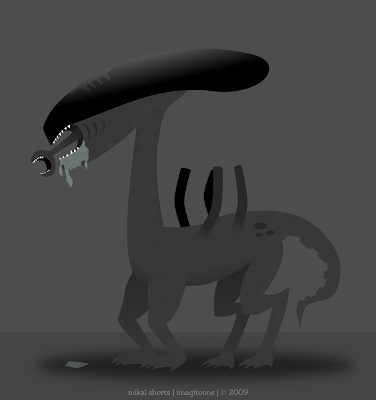 It seems someone let an Alien Queen loose, and now we're having a bit of a problem with having Alien eggs in the zoo. The Aliens have gotten to several of our creatures and now there are Alien versions of them running around our zoo - not the best situation for visitors (but potential plot of Alien 5). As we capture the Aliens I'll be sure to get pictures of them up.